Jason Statham (n English actor and former model dan competitive diver. “One of many controversies mixing up the field of nutrition is whether the use of high-fructose corn syrup in soft drinks and other foods is causing the paired epidemics of obesity and diabetes that are sweeping the United States and the world”. 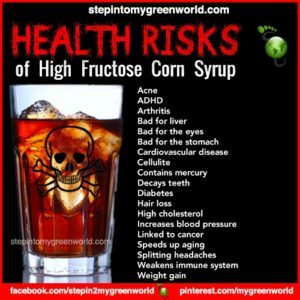 The danger of Fructose Corn Syrup for Many Reasons! Some might think that the increase of the use of fructose corn syrup during the past 30 years, would be safe. High fructose corn syrup (HFCS) is an “artificial” sweetener made from a complex process with corn; a process of brewing, separating, breaking down, injecting enzymes, filtering, mixing and blending. Still sound safe enough? 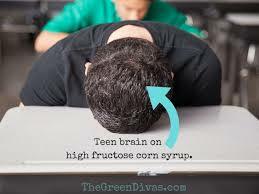 High fructose corn syrup is extremely soluble and mixes well in many foods. It is cheap to produce, sweet and easy to store. It’s used in everything from bread to pasta sauces to bacon to beer as well as in “health products” like protein bars and “natural” sodas. HFCS is less expensive, lasts longer, and is more easily transported and handled than natural sugar; thus food producers prefer it for their manufacturing processes. Research has shown that “high-fructose corn syrup” goes directly to the liver, releasing enzymes that instruct the body to then store fat! This may elevate triglyceride (fat in blood) levels and elevate cholesterol levels. Because it is metabolized by the liver, fructose does not cause the pancreas to release insulin the way it normally does. Fructose converts to fat more than any other sugar. Fructose reduces the affinity of insulin for its receptor, which is the hallmark of type-2 diabetes. Some research claims that HFCS does not metabolize in the body like regular “natural” sugars; and that it might cause obesity-related glitches within the liver and other organs which normally deal with metabolizing, storing and using sugars in the body. HFCS is Often Contaminated with Mercury. Recent studies of samples of HFCS and food products containing it in the United States conducted via two studies found that between 31% and 45% of the samples contained mercury. Mercury is toxic in even small quantities. For years, there have been suspicions that mercury used in vaccines may be related to the rise in autism in the United States. But this mercury contamination issue is much bigger and affects common foods widespread throughout the nation’s food supply. Products tested from big-name manufacturers such as Minute Maid, Coca-Cola, Hershey’s, Quaker, Hunt’s, Manwich, Smucker’s, Kraft, Nutri-Grain, and Yoplait had detectable levels of mercury. Today, Commercial fruit juices and any products containing high fructose corn syrup are more dangerous than sugar and should be removed from the diet. Read Labels! You’ll quickly see that this ingredient has been added to half the supermarket. 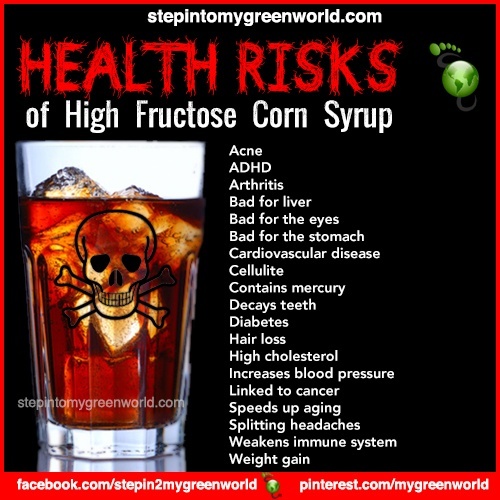 So read under Ingredients carefully and look for High Fructose Corn Syrup or even just Corn Syrup. Americans are being poisoned by a common additive present in a wide array of processed foods like soft drinks and salad dressings, commercially made cakes and cookies, and breakfast cereals and brand-name breads. This commonplace additive silently increases our risk of obesity, diabetes, hypertension, and atherosclerosis. The name of this toxic additive is high-fructose corn syrup. It is so ubiquitous in processed foods and so over-consumed by the average American that many experts believe our nation faces the prospect of an epidemic of metabolic disease in the future, related in significant degree to excess consumption of high-fructose corn syrup. The food industry has long known that “a spoonful of sugar helps the medicine go down in the most delightful way.” And cane sugar had been America’s most delightful sweetener of choice, that is, until the 1970s, when the much less expensive corn-derived sweeteners like maltodextrin and high-fructose corn syrup were developed. While regular table sugar (sucrose) is 50% fructose and 50% glucose, high-fructose corn syrup can contain up to 80% fructose and 20% glucose, almost twice the fructose of common table sugar. Both table sugar and high-fructose sweetener contain four calories per gram, so calories alone are not the key problem with high-fructose corn syrup. 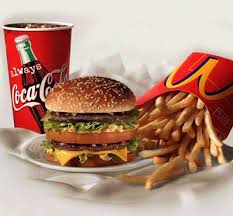 Rather, metabolism of excess amounts of fructose is the major concern. The alarming rise in diseases1,2 related to poor lifestyle habits has been mirrored by an equally dramatic increase in fructose consumption, particularly in the form of the corn-derived sweetener, high-fructose corn syrup.3-12 In this article, we’ll examine the evidence for these associations, and we’ll attempt to determine if high-fructose corn syrup is a benign food additive, as the sweetener industry has lobbied us (and the FDA) to believe, or a dangerously overlooked threat to public health. While cardiovascular disease remains the number one killer in America,1 scientists have noted that “we are experiencing an epidemic of [heart and kidney] disease characterized by increasing rates of obesity, hypertension, the metabolic syndrome, type 2 diabetes, and kidney disease.”2 Add to this list a disturbing rise in new cases of non-alcoholic fatty liver disease, and you have a public health crisis of enormous proportions. Fructose may have less impact on appetite than glucose, so processed foods rich in fructose can contribute to weight gain, obesity, and its related consequences by failing to manage appetite.20 Additionally, loading of the liver with large amounts of fructose leads to increased uric acid formation, which may contribute to gout in susceptible individuals. The high flux of fructose to the liver, the main organ capable of metabolizing this simple carbohydrate, disturbs glucose metabolism and uptake pathways and leads to metabolic disturbances that underlie the induction of insulin resistance,9 a hallmark of type 2 diabetes. So you may want to look at labels of the food you eat more closely to prevent obesity or disease like diabetes. Just a thought. Part IV Last section on Treatments for Eating Disorders. You and your treatment team will determine what your needs are and come up with goals and guidelines. 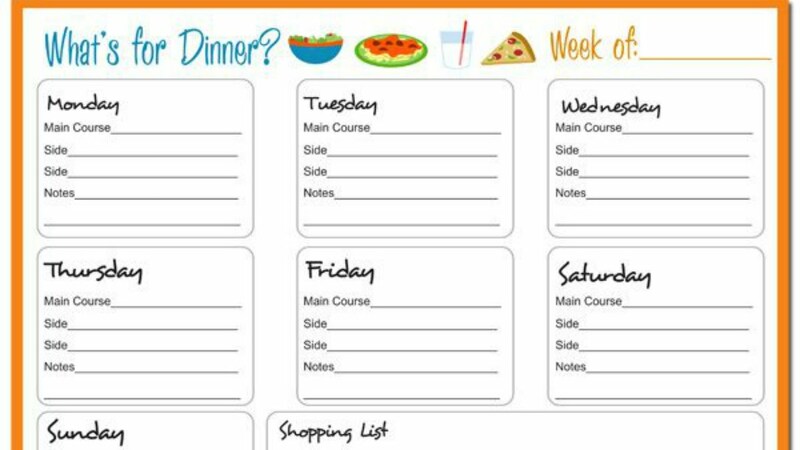 This will include a plan for treating your eating disorder and setting up treatment goals. 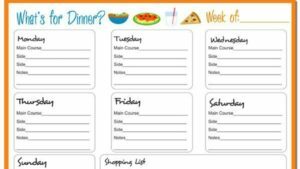 It will also make it clear what to do if you’re not able to stick with your plan or if you’re having health problems related to your eating disorder. Treat physical complications. 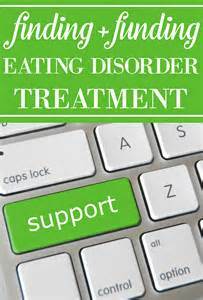 Your treatment team monitors and addresses any medical issues that are a result of your eating disorder. Identify resources. Your treatment team can help you discover what resources are available in your area to help you meet your goals. Work to identify affordable treatment options. Hospitalization and outpatient programs for treating eating disorders can be expensive, and insurance may not cover all the costs of your care. Talk with your treatment team about financial issues ― don’t avoid treatment because of the potential cost. Eating disorders can cause serious health problems related to inadequate nutrition, overeating, bingeing and other factors. The type of health problems caused by eating disorders depends on the type and severity of the eating disorder. 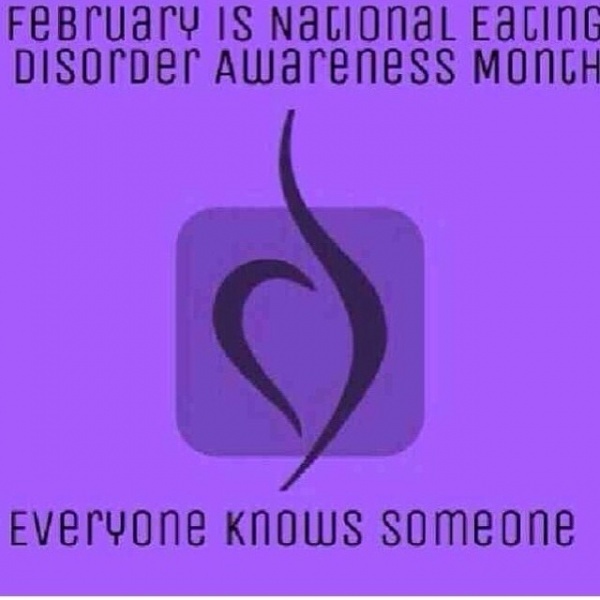 In many cases, problems caused by an eating disorder require ongoing treatment and monitoring. Medications can’t cure an eating disorder, but they may help you follow your treatment plan. They’re most effective when combined with psychological counseling. Antidepressants are the most common medications used to treat eating disorders that involve binge-eating or purging behaviors, but depending on the situation, other medications are sometimes prescribed.Taking an antidepressant may be especially helpful if you have bulimia or binge-eating disorder. Antidepressants can also help reduce symptoms of depression, anxiety or obsessive-compulsive disorder, which frequently occur along with eating disorders. You may also need to take medications for physical health problems caused by your eating disorder. Hospitalization may be necessary if you have serious physical or mental health problems or if you have anorexia and are unable to eat or gain weight. 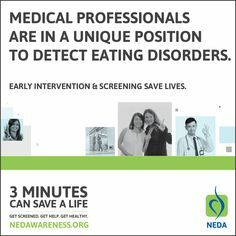 Severe or life-threatening physical health problems that occur with anorexia can be a medical emergency. In many cases, the most important goal of hospitalization is to get back to a healthy weight. Achieving your healthy weight can take months, so you’ll probably need to continue outpatient treatment to accomplish your goals once you get out of the hospital. Researchers are finding that eating disorders are caused by a complex interaction of genetic, biological, psychological, and social factors. But many questions still need answers. Researchers are studying questions about behavior, genetics, and brain function to better understand risk factors, identify biological markers, and develop specific psychotherapies and medications that can target areas in the brain that control eating behavior. Brain imaging and genetic studies may provide clues for how each person may respond to specific treatments for these medical illnesses. Ongoing efforts also are aimed at developing and refining strategies for preventing and treating eating disorders among adolescents and adults. You are the most important member of your treatment team. For successful treatment, you need to be actively involved in your treatment and so do your family members and other loved ones. Your treatment team can provide education and tell you where to find more information and support. The eating disorders anorexia nervosa, bulimia nervosa, and binge-eating disorder, and their variants, all feature serious disturbances in eating behavior and weight regulation. They are associated with a wide range of adverse psychological, physical, and social consequences. A person with an eating disorder may start out just eating smaller or larger amounts of food, but at some point, their urge to eat less or more spirals out of control. Severe distress or concern about body weight or shape, or extreme efforts to manage weight or food intake, also may characterize an eating disorder. 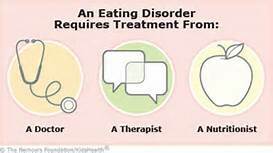 Eating disorder treatment also involves addressing other health problems caused by an eating disorder, which can be serious or even life-threatening if they go untreated for long enough. If an eating disorder doesn’t improve with standard treatment or causes health problems, you may need hospitalization or another type of inpatient program. Having an organized approach to eating disorder treatment can help you manage symptoms, regain a healthy weight, and maintain your physical and mental health. 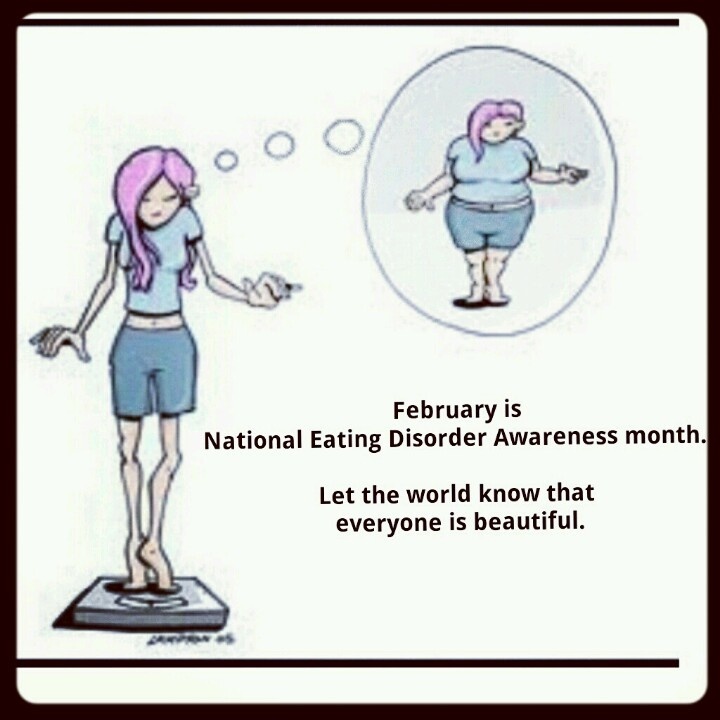 Eating disorders are real, treatable medical illnesses. They frequently coexist with other illnesses such as depression, substance abuse, or anxiety disorders. Other symptoms can become life-threatening if a person does not receive treatment, which is reflected by anorexia being associated with the highest mortality rate of any psychiatric disorder. Eating disorders affect both genders, although rates among women and girls are 2½ times greater than among men and boys. Eating disorders frequently appear during the teen years or young adulthood but also may develop during childhood or later in life. Typical treatment goals include restoring adequate nutrition, bringing weight to a healthy level, reducing excessive exercise, and stopping binging and purging behaviors. Specific forms of psychotherapy, or talk therapy—including a family-based therapy called the Maudsley approach and cognitive behavioral approaches—have been shown to be useful for treating specific eating disorders. Evidence also suggests that antidepressant medications approved by the U.S. Food and Drug Administration may help for bulimia nervosa and also may be effective for treating co-occurring anxiety or depression for other eating disorders. A registered dietitian to provide nutritional counseling. A psychiatrist for medication prescription and management, when medications are necessary. Some psychiatrists also provide psychological counseling. Medical or dental specialists to treat health or dental problems that result from your eating disorder. Your partner, parents or other family members. For young people still living at home, parents should be actively involved in treatment and may supervise meals. It’s best if everyone involved in your treatment communicates about your progress so that adjustments can be made to your treatment as needed. Managing an eating disorder can be a long-term challenge. 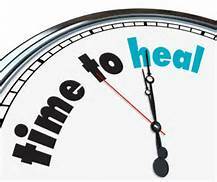 You may need to continue to see your doctor, psychologist or other members of your treatment team on a regular basis, even if your eating disorder and related health problems are under control. Part II National Awareness of Other Eating DIsorders other than Anorexia/Bulemia (Part I 2/21).